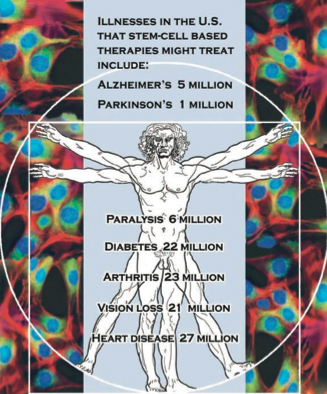 Stem cell research seized headlines at the beginning of this century, promising to revolutionize medicine by healing illnesses such as Alzheimer’s, Parkinson’s, diabetes, spinal cord injury, and heart disease. These are all illnesses of severe cell deterioration or injury—illnesses that are in principle curable by embryonic stem cells, which have the ability to build every single tissue in the human body. Hence, when these cells were first isolated and replicated in 1998, it struck scientists at the time that the door now lay wide open to the advance of regenerative medicine. Yet stem cell research has to date not lived up to its immense potential. Two narratives are commonly told about this history, and they are at loggerheads with one another. The first is that the research has in fact steadily advanced and that clinical trials will soon yield effective stem cell–based therapies. This narrative acknowledges that stem cell research has run into obstacles, but it holds that such challenges are only to be expected, given the newness of the science. Pitted against this sunny evaluation is an incriminating one: stem cell research, combining scientific hubris with hype, has been an overreaching, grandiose enterprise that has under-delivered on its therapeutic promises and proven ethically abhorrent as well scientifically barren. Whether the story is told in a way that makes the glass look half-full or empty, both the positive view and the negative view misread the actual history, failing to recognize that it has been and remains political opposition that has been primarily responsible for slowing down stem cell research in the United States and worldwide. Had the research received the support that it merits, it would probably have arrived by now at effective treatments for a number of severe chronic diseases. It is of course appropriate that the goals and to some extent even the methods of science be approved not only in the laboratory but also in the legislative chamber. Indeed, scientific inquiry sometimes raises ethical issues that call for careful deliberation. In the case of stem cell research specifically, such issues have been especially difficult to resolve because this scientific project has been impacted by clashing demands. On the one hand, human beings are vulnerable to severe illnesses that stem cell research may help to remedy or cure, making the moral case for doing this research unusually compelling; public polls show strong support for research that uses embryo-derived and other kinds of stem cells to find effective therapies. On the other hand, there has arisen in the United States over the past several decades an influential religion-based political movement that strongly opposes embryonic stem cell research on the grounds that it is akin to abortion. 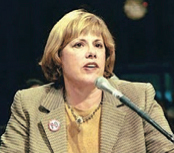 Beginning in the late 1970s, the legalization of abortion in the United States was contested by the religious right and the Catholic Church, and it is still contested today. Many states have passed laws based on the belief that a pre-born human is a full-fledged person and therefore possesses all the rights of personhood. Consequently, women are required to run a veritable gauntlet in order to terminate a pregnancy. This “pro-life” belief is also hostile to stem cell research, since the conviction that a fertilized egg is a person with full human rights makes a five-day-old blastocyst (which is a source of embryonic stem cells for scientific experimentation) as sacred as a months-old fetus or a newborn child. And while it is true that research that uses embryonic cells is only one form of stem cell science, that research has played an important part in advancing the entire field—a point that we’ll return to later on in this article. Because the slope of the trajectory from a fertilized egg to a born child is a gradual one with no discernible sudden leap into personhood, a consistent “sanctity of life” view is logically compelled to push the time of incipient personhood all the way back to fertilization. Hence this view sweeps embryonic stem cell research, along with abortion at every stage of pregnancy, into the domain of practices that are unethical and should be outlawed. Were personhood to begin at conception, as the religious right maintains, that indeed would make the extraction of stem cells that destroys a blastocyst an act of murder. What is amiss with this reasoning? To be sure, a fertilized egg does count biologically as “human life.” But so does every individual cell in a human body. A single hair cell, for example, is also “human life,” since it is both human (i.e., it belongs to a member of the human species) and alive. But a hair cell is not a “person,” and a haircut is not homicide. Hence not every instance of “human life” has the status of a “person” with an inviolable right to life. Yet this “right to life” view is fervently held by evangelical Protestant groups and the Catholic Church, and it has been politically influential in the United States for more than two decades. In 1995, the U.S. Congress passed legislation that prohibits federal funding for any research that creates or destroys a human embryo at any stage of development. That legislation bars federally funded stem cell scientists from using any of the hundreds of thousands of surplus embryos stored in IVF (in-vitro fertilization) clinic freezers across the nation—embryos that are routinely discarded as waste. Lost on the lawmakers is the manifest irrationality of such legislation, which permits the destruction of excess embryos in IVF clinics but prohibits the scientific use of those same embryos. In 2001, President Bush issued an executive order that limited federal funding for embryonic stem cell research still further, on the grounds that “human life is a sacred gift from our creator.” In 2006 and again in 2007, he vetoed congressional legislation that would have enabled the research. Although President Obama, shortly after assuming office in 2009, issued more permissive guidelines, stem cell research remained vulnerable to federal opposition. Legislation bestowing the full legal rights of personhood upon fertilized eggs was introduced in both houses of Congress in 2011 and 2013. A similar bill, H.R. 2761, the so-called “Sanctity of Life Act,” was introduced in 2015 and is backed by the current Speaker of the House, Paul Ryan. This bill declares that personhood “is deemed to exist from fertilization” and would prohibit not only abortion but embryonic stem cell research as well. In 2017, newly emboldened conservatives in federal government are likely to renew their attack on science and science funding, including funding for stem cell research. Stem cell research has never received substantial federal investment in the United States. Hence scientists have had to rely largely on private funding, which has proven inadequate for several reasons. First, biotech companies are reluctant to invest in stem cell research since this science is still in its infancy and unlikely in the short term to yield profitable clinical applications. Second, privately funded research typically relies on current or past government-sponsored research. Scientists employed by biotech companies learn from the work that their colleagues in the public sector are doing, and when that work is underfunded, the entire field is held back. Third, when the research is funded privately, its innovative methods, materials, and results become patented and proprietary in a way that interferes with the sharing and cooperation among researchers and laboratories that is needed to move scientific exploration forward most effectively. These three problems with private financing have played a significant role in slowing the progress of stem cell research. Let’s review the history. The scientific breakthrough that, according to most accounts, founded the field of stem cell research was the isolation and extraction of embryonic stem cells by James Thomson of the University of Wisconsin in 1998. If the self-propagating stem cell lines produced in his laboratory had been made readily available to everyone conducting stem cell research, they would have supported the advance of the entire field. But although Thomson’s work was done at a public institution, the University of Wisconsin, it was privately funded by a single corporation, Geron. Access to these embryonic stem cell lines by other researchers was controlled by broad patents granting exclusive ownership to the Wisconsin Alumni Research Foundation (WARF), an entity set up by the University of Wisconsin but answering to Geron instead of to the wider public interest in advancing the science. Four leaders in the field of stem cell research—Jeanne Loring from the Burnham Institute for Medical Research, Douglas Melton and Chad Cowan from Harvard, and the Australian researcher Alan Trounson who became the president of the California Institute for Regenerative Medicine—declared their opposition to the Geron patents. Stem cell research, they pointed out, is very much a collaborative enterprise, involving multiple disciplines and relying upon the unencumbered sharing of information and methods between scientists and sometimes between multiple laboratories. Patents such as those granted to Geron have not successfully incentivized innovation but have instead driven up stem cell research and development costs and interfered with the sharing of information that is so important to scientific advance. Because of the lack of federal support for stem cell research, a few individual states have sought to fund the research on their own. In California in 2004, a group of patient advocates and scientists wrote a state initiative to provide $3 billion funding for stem cell research. Their grassroots campaign gathered enough signatures to place the measure on the ballot, and they achieved a landslide victory in November 2004. Proposition 71 established the California Institute for Regenerative Medicine (CIRM), which has, over the years, deployed its resources judiciously, becoming the hub of a global network of collaborating scientists, educators, and research institutions. However, although CIRM-funded research has substantially advanced scientific knowledge in many areas and has received approval for many clinical trials, it has not yet yielded a single FDA-approved therapy. The major reason Proposition 71 has, to date, not lived up to early expectations is that CIRM has had to cope with political and legal objections to its scientific work. First, immediately following passage of Proposition 71, the constitutionality of the ballot measure was challenged in court at the behest of the Life Legal Defense Foundation, a “pro-life” law firm representing religious organizations. Although this legal effort was ultimately defeated, it succeeded in delaying financing for nearly three years. Only in October of 2007 were the state funds released that enabled the research to go forward. CIRM’s mission has also been thwarted by insufficient funding. Although California’s $3 billion investment in stem cell research is substantial, it has not been enough to subsidize both scientific discovery and the development of new treatments. In today’s research and development environment, it takes an average of twelve years and, on a conservative estimate, costs a billion dollars to produce a single new drug, beginning with basic scientific exploration and discovery and followed by animal studies, preclinical and clinical trials, FDA approval, and finally manufacture. Advocates for the California stem cell program anticipated from the beginning that clinical applications would be too expensive for the Institute alone to fund, and they assumed that therapy development (so-called “translation”) based on CIRM-sponsored scientific findings would instead be financed largely by biotech and pharmaceutical firms possessing resources sufficient to carry the research “from the laboratory to the bedside.” Unfortunately, this strategy has so far not worked well, since the commercial prospects of discoveries made in the basic science have not been promising enough to assure interested companies that a major investment on their part will eventually be profitable. Failure to publicly fund stem cell research adequately is unjustifiable, given the alleviation of suffering and the savings that will accrue if the research results in treatments for debilitating diseases. Care in the United States for patients with just one of these diseases, Alzheimer’s, cost $236 billion in 2016, according to the Alzheimer’s Association. It’s noteworthy as well that total federal investment on biomedical research—the 2016 NIH budget is $31.3 billion—is much less than investment in other domains, such as military preparedness for example. The Pentagon has estimated that the expenditure in 2016 on the F-35 fighter plane alone, the most expensive aircraft ever developed, will be $379 billion. The total cost of designing and building the plane may reach $1.5 trillion. 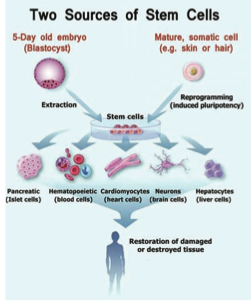 “Induced pluripotent stem cells” are adult cells that have been genetically reprogrammed to closely resemble embryonic stem cells, and for some research purposes they can be substituted for embryonic cells as a “raw material.” The discovery of induced pluripotency in 2006 was acclaimed by stem cell research advocates and critics alike because it permitted the research to sidestep religious objections to working with embryos. But leading research scientists such as Thomson, Yamanaka, and Weissman have cautioned that the discovery of induced pluripotency does not render embryo research scientifically superfluous. The reprogramming of cells to a state of pluripotency has in the past run into a number of problems, including low replication rates and early senescence of the induced cells. It currently remains unclear whether induced pluripotent stem cells can be made equivalent to embryonic cells for all clinical as well as scientific applications. And even if it turns out that induced pluripotent stem cells can provide an adequate cell source for almost all of the needs of regenerative medicine, valuable time has been lost. It has taken a decade (2006–2016) to validate this substitute for embryonic cells—a decade during which embryonic cell research might have advanced much further had it not been largely abandoned. The advance of stem cell science requires adequate economic support and wise government oversight, which to date have not been in place. A technocratic strategy for dealing with this predicament is to wrest science policy formation out of the hands of the lay public altogether, on the grounds that scientific matters are too complex for “ordinary people” to ever grasp. Yet the history of the California Institute for Regenerative Medicine, beginning with the campaign to gather signatures and build public support, and continuing with patient advocate participation in administering the institute following the electoral victory in 2004, illustrates that lay citizens, not themselves versed in biology or medicine but deliberating in the company of scientists, are capable of providing effective guidance. Patient advocates are capable also of communicating the value of stem cell research to the public. To win hearts and minds on this issue, to persuade even some of those who are opposed on religious grounds, the case has to be made by those who are burdened by severe illnesses that the research has the potential to alleviate or cure. When patients, together with their caregivers and advocates, take their cases to the public, when they visit the offices of their political representatives and talk about the medical promise and ethics of the research, when patient activists such as Michael J. Fox, Joan Samuelson, and Mohammed Ali and his wife Lonnie Ali travel to Washington, D.C., and testify at a congressional hearing, opinions change. Conservative Senator Strom Thurmond’s encounter with the diabetes of his daughter and Nancy Reagan’s with the Alzheimer’s of her husband disarmed their religious qualms, and they both became proponents for the research. In California, the overwhelmingly affirmative vote for stem cell research in 2004 was achieved by a campaign that recounted the challenges faced by patients and their care providers in newspapers and social media, on TV, and at fundraising house parties. In the 1980s and ’90s, HIV/AIDS activism enabled the successful scientific search for effective therapies. Today’s stem cell research movement travels a path that is no less promising—and no less challenging. Many patient activists, although they realize that their own personal illness may be too far advanced to be helped by a stem cell therapy that will be developed during their lifetime, hold out hope that others will be spared the travail of that illness. “While we prolong the stem cell debate,” said Christopher Reeve, the movie celebrity who was paralyzed by a horse-riding accident and became an advocate for the research, “millions continue to suffer.” By conveying to the public the urgency of acting on this humanitarian cause, patient advocacy can play a decisive role.